Tomboy styling is going to be a big trend for Spring of 2019 and you will be pleased to know there are plenty of ways to embrace the look. Whether you go for sharp tailoring, relaxed silhouettes, or masculine fabrics, you are sure to find the right tomboy pieces that will fit into your existing wardrobe, in fact you may already have them. 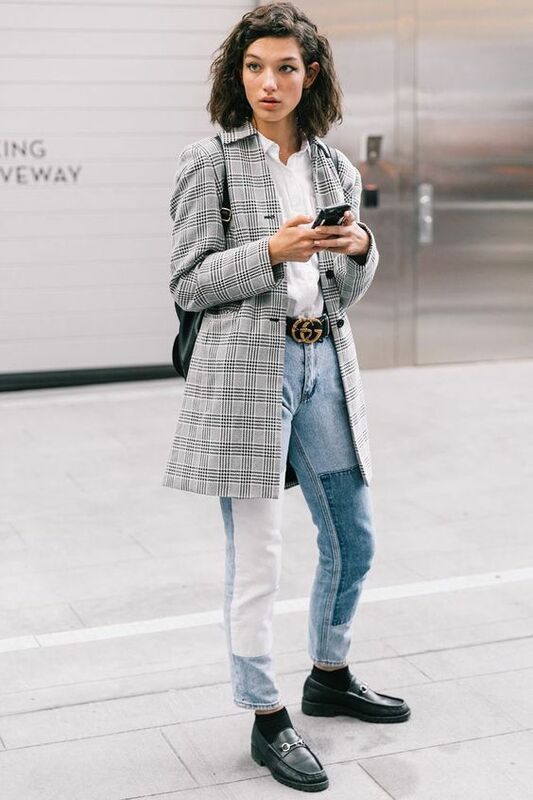 Boyfriend jeans, wide-leg trousers, sneakers, oversized t-shirts, double-breasted blazers and jackets, and sleek suiting all suit the tomboy trend, and can be mixed and matched to create your own unique look. 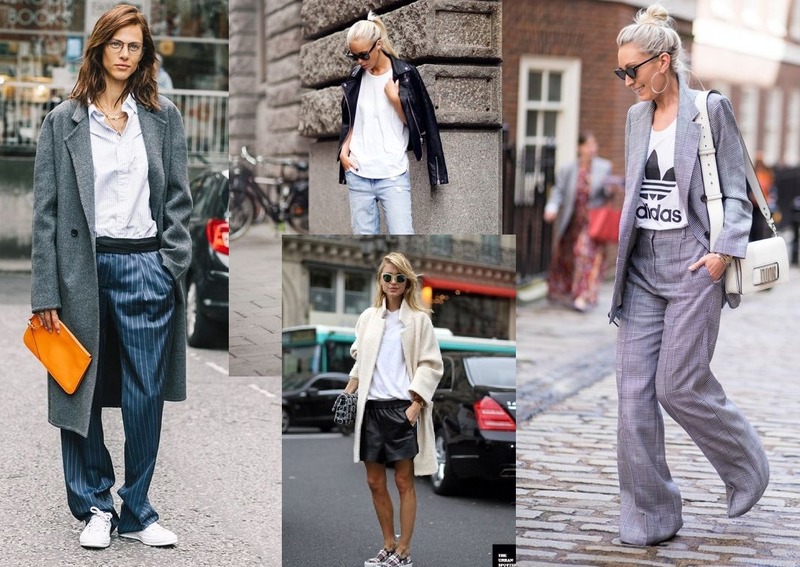 If you need some inspiration on trying out a new boyish look, check out our favourite tomboy outfits. Super cute and super cool. 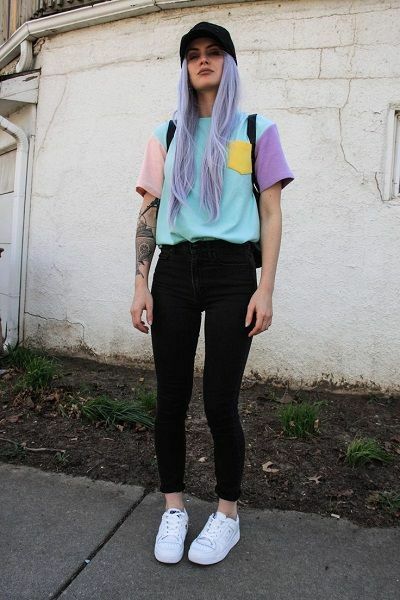 There is no rule that says tomboy styling has to follow a particular colour palette. 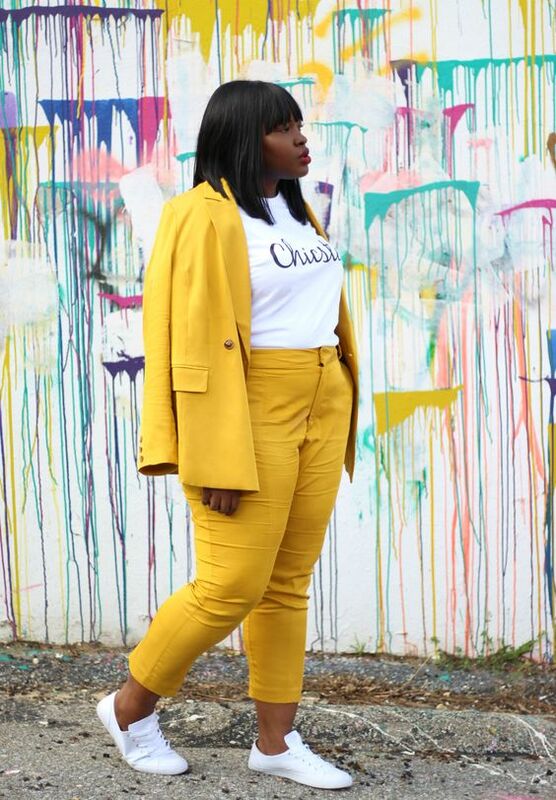 If you like bright colours then incorporate them into your tomboy outfits. 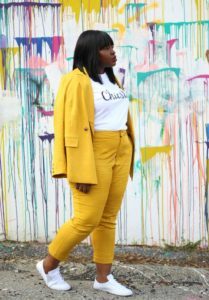 This sunny mustard tailoring is gorgeous against the model’s dark skin tone, and the pops of bright white make for an overall vibant outfit that will certaily stand out from the crowd. Stunning! Tartan trousers and an oversized band t-shirt make for the perfect punk outfit. Pop on some comfortable sneakers and you are ready to take on the rowdiest of mosh pits. A cute pair of tailored shorts will be such a great investment for summer or holidays in the sun. This camel-coloured pair is gorgeous with the sky blue Oxford shirt, as well as showing off a little bit of leg. The loafer style shoes complete this toyboy outfit to perfection. This outfit is toyboy styling at its finest. The slim fit chinos, the tailored whit short with tie, and the buttoned up cardigan, all make for an outfit that is incredibly chic and stylish. The tan brogues perfectly complement the navy of the ensemble – a classic colour palette for sure. James Dean was a style icon back in the 1950s and his style lives on right up until this day. 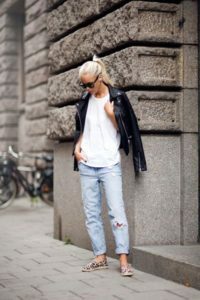 Both men and women look awesome in the James Dean uniform of a white tee and a pair of well-fitting jeans with the hems rolled up. You can swap out the black workman boots for a pair of comfortable sneakers for all day wear. Masculine tailoring with a loose silhouette looks easy and effortless. Smart enough for work and relaxed enough for play, masculine tailoring is so versatile – wear the suit all together, or wear as separates. Just imagine how amazing those trousers will look with a slim fit black polo neck and killer black heels. This denim jumpsuit is reminiscent of the boiler suits worn by the pin up girls working in the factories during the Second World War, don’t you think. 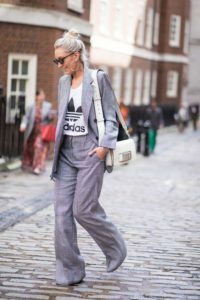 It is such a statement garment that it requires minimal styling to look amazing, such as a pair of sneakers for day time and a pair of high heels for the evening. Don’t feel like wearing a ball gown to prom or any other formal occasion, then don’t? 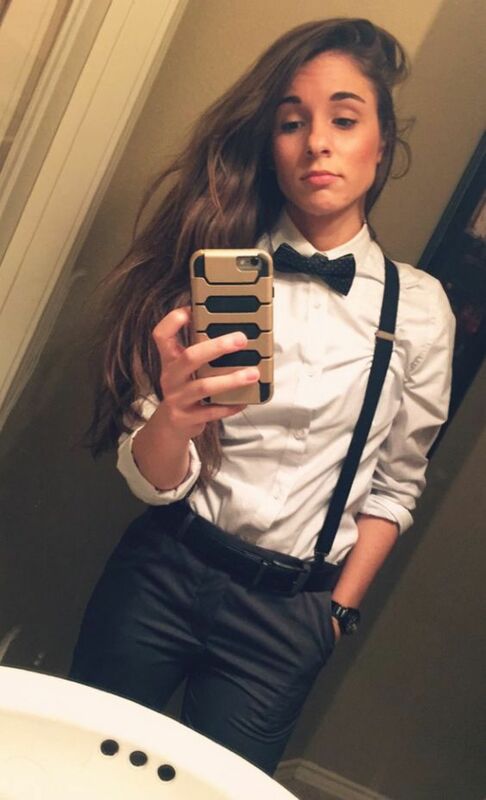 Why not take inspiration from the tuxedo and smarten up a tailored white shirt and trousers with a sleek boy tie and a pair of braces. The boiler suit is coming back into fashion in 2019 in a big way. This khaki-coloured fight style suit looks absolutely stunning with a killer pair of heeled boots and super sleek hairstyle. Those who are taller than average can get away with wearing oversized garments head-to-toe, just like this model. The oversized car coat is a slate grey looks great with the pop of orange from the clutch. The loose fit trousers feature a delicate white pinstripe, which are accentuated by the bright white sneakers. Denim overalls are a cute way to tap into the tomboy trend without going for cuts that are more masculine than you would usually choose. Wear with a simple tee and sneakers for an easy weekend look, or layer with a shirt and a statement jacket for a cool Autumn look. A statement jacket is always a smart wardrobe investment as it can make any outfit bit more eye-catching. 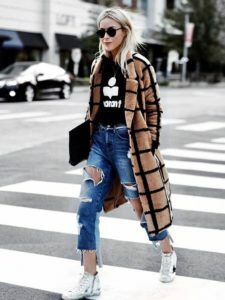 This camel coat with a chunky black grid and it looks amazing styles with super distressed jeans and silver high-top sneakers. Love! 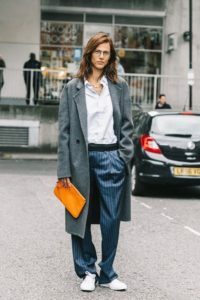 Eighties style tailoring is a big trend for 2019 – the shoulder pads have been ditched but the double-breasted blazers and wide leg trousers are here to stay. This fabulous checked suit has been given a sporty twist with the addition of an athletic t-shirt. 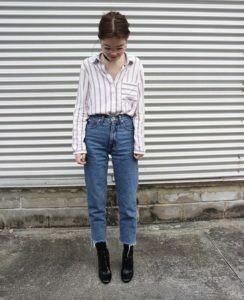 An oversized t-shirt looks great styles with a pair of skinny jeans – fitted and loose silhouettes tend to always work well together. 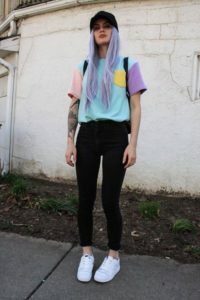 The pastel colours of the tee adds some brightness to the outfit, as well as matching with the model’s gorgeous lilac hair. A backpack ad sneakers are a must. The jogging pant has come a long way in recent years and is no longer just for the gym or lounging about the house. A pair of tailored joggers can look incredibly smart and chic, and can be worn with a pair of heels for a dressed up look with a casual twist. They also look great teamed with a classic biker jacket and simple black tee. Awesome toyboy look. A grey colour palette has a certain chicness to it, and some great grey separates in your wardrobe will always be worth the expense. This tomboy style outfit features several tones of grey in different textures for an outfit that is smart and sophisticated. A pair of black loafers is a versatile shoe that will work for jeans, dresses, skirts, and anything else you can think of. If you invest in just one coat this Winter season, make sure that it is the teddy coat. The hottest style of the season, has a wonderful fluffy texture and will feel snug and warm no matter how low the temperature drops. 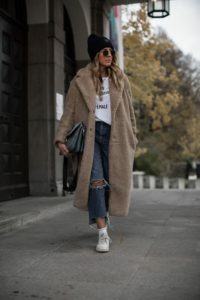 The versatile coat looks gorgeous dressed down with boyfriend jeans and sneakers, or could be thrown over a little black dress in the evening. Shorts in a luxe fabric will give a dressy touch to your tomboy outfit. These leather shorts have a great sporty shape that looks so beautiful with the tailored overcoat and simple tee. The addition of a print on the plimsolls and clutch bag lifts the outfit,as well as tying the different tones of the separates together. If you are to invest in a tailored suit, choose one in a dark tone with a checked or grid print as you will find them to be so versatile. This gorgeous navy suit with a white grid print looks great casually styled with a white t-shirt and simple sneakers. There is no simpler outfit than a pair of boyfriend jeans and a oversized t-shirt, yet there are few outfits that a more stylish. The shoulder-robed leather jacket, oversized sunglasses, and leopard print espadrilles are cool and effortless. For a twist on the double denim trend, choose a wax coated jean, which has the appearance of leather. The matte finish of a waxed jean is gorgeous with washed-out denim and a brushed cotton tee. The model has accessorised her outfit perfectly with awesome boots, an oversized beanie, and layered necklaces. 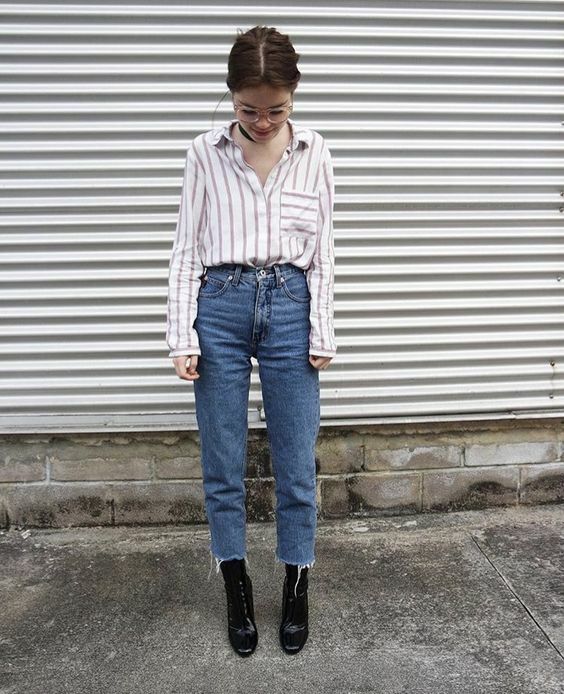 Hit your local vintage stores or markets to pick up some pieces that have timeless cuts, such as this loose shirt and ‘mom’ jeans. Your unique outfit is sure to turn heads and draw stares of envy, and it will cost you a fraction of the price of a designer outfit. These patchwork jeans are a style miracle – gorgeous straight leg silhouette and multiple washes of denim, they have been simply styled so they are not lost in the outfit. The oversized checked overcoat is simple and chic, and the black loafers are a must. 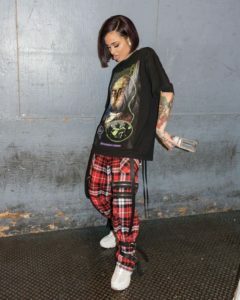 If you are looking for a simple tomboy outfit that will never go out of style then the skater girl look is definitely the one for you. All you need is a pair of sneakers, some distressed skinny jeans and an oversized or men’s t-shirt of your choice. 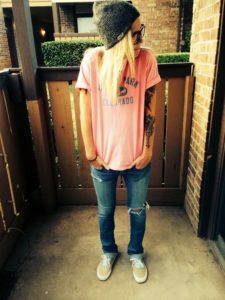 Roll up the sleeves of your tee, through on a beanie or snapback cap and you are good to go. Invest in some leather or faux leather leggings for your wardrobe and you will never run out of ways to wear them. 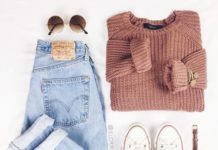 This relaxed style is great for a day of running errands or college, with comfortable sneakers, practical and stylish bag, and adorable denim vest. 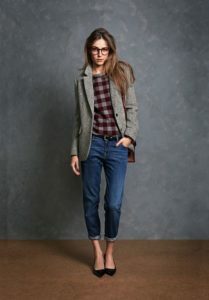 Tweed and plaid are gorgeous together and there are a million ways this lovely blazer. It look great simply styled with a plaid jumper and some straight leg jeans. But it would look just as good over a summer dress, or with tailoring in a different fabric.